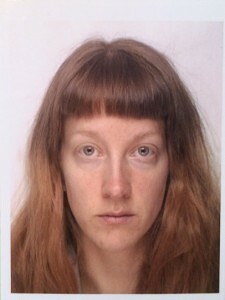 Ida-Elisabeth S. Larsen is a choreographer and performer currently commuting between Copenhagen and Helsinki. She graduated from SEAD in 2007 and continued to supplement her education with a BA in Philosophy and Performance Design from Roskilde University. In 2016 she enrolled in the MA programme "Ecology and Contemporary Performance" at TeaK-University of the Arts Helsinki. The core of her artistic practice she unfolds as a member of the artist collective RISK and the duo two-women-machine-show. Ida-Elisabeth S. Larsen has also worked as a dramaturge in various artistic collaborations and was engaged as such in the international performance festival series WORKS AT WORK (2014-2016), which she held together with curator Cecilie Ullerup Schmidt. In 2013 and 2014 the duo two-women-machine-show received the Danish Arts Foundation’s annual award for the works ‘Mass Hysteria’ and later ‘My Body is a Barrel of Gunpowder’. Ida-Elisabeth S. Larsen tours with stage productions regularly and participates internationally in various artist residencies and exchange programs. She is also an elected member of Dansehallerne's Research Committee in Copenhagen and part of the Para-Nordic Institution.